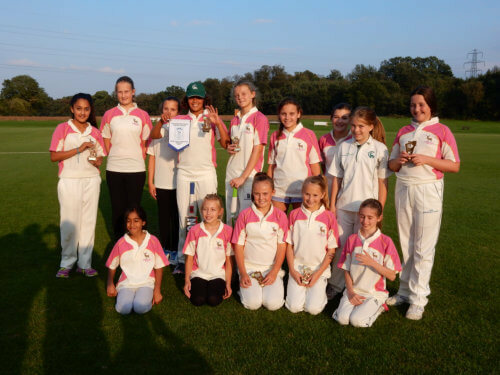 The Girls section at Maidenhead & Bray Cricket Club was founded in 2012 and is already one of the leading Girls’ sections in Berkshire. 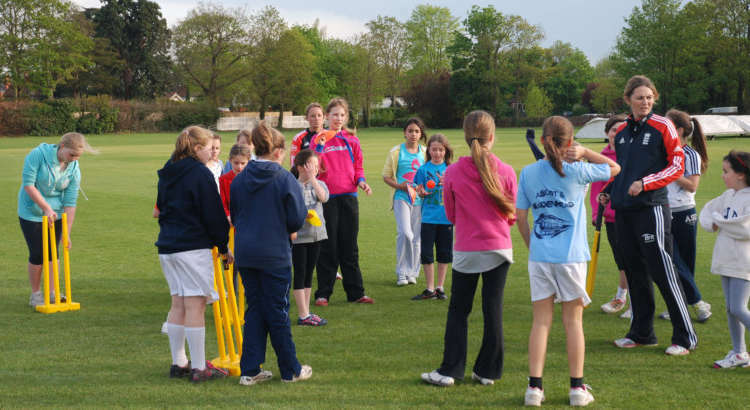 Our goal is to be known as the leading club for Girls cricket in Berkshire by 2018. Our U12s won the BYCL County Championship in 2013 and our U14s were crowned County Champions in 2014. All Girls are welcome between the ages of 7 and 15. 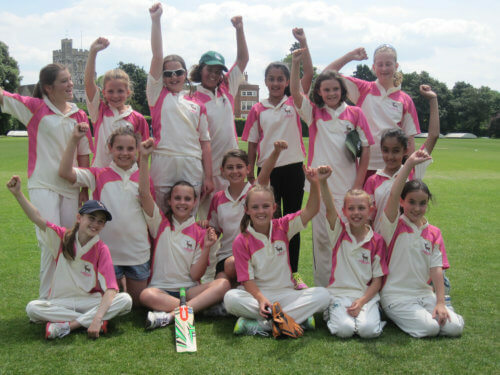 We want Girls to enjoy their cricket and look forward to coaching and playing matches. Girls ‘only’ coaching takes place on Monday evenings between 6.15 and 8.00 p.m. (7.45 for Girls U9 – school year 4 and below). 2017 Coaching starts on Monday 24th April and runs every Monday through to August. We are delighted to announce that we have strengthened our Girls coaching team in 2017, as we look to continue to develop the Girls section and build our goal to remain the leading club in Berkshire for Girls cricket. We promise not to lose sight that ‘Girls just want to have fun’, so Monday’s will continue to be, first and foremost, an enjoyable evening. Monday nights are led by a team of ECB qualified coaches. Tameena Hussain, Girls Section Manager overseeing the U12's and manages the U14 and U16 sides. Mike Parkinson and Ben Ward manage the U12 teams. Charlie Jacobsen looks after the development of the ‘young ones’. We are also delighted to announce that Performance Cricket will support us on Monday evenings from 2017. 2017 will certainly be the most exciting season yet for Maidenhead & Bray Girls. After the amazing success of last season, which saw a record number of Girls registered, runners up in the U12 County Championship and U15's were joint second, and we are looking to develop all our Girls a stage further. For our older Girls, our priority will be to retake the County Championship and progress them into the Ladies XI. At both U14 and U16, we will be up against the same clubs as last year – Henley, Wokingham, Pangbourne & Whitchurch, Shinfield, Finchampstead and West Ilsley. Matches are, again, played both at home and away. 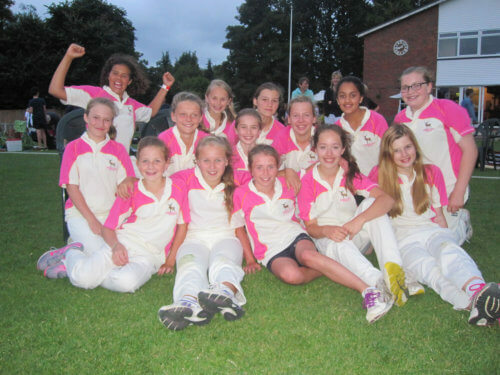 We’ve also entered into the U13 and U15 ECB Lady Taverners Cup. Finally, we have some ‘Ladies’ matches planned. We plan to pitch our Girls against a ‘Ladies’ team. I honestly don’t think it will be a mismatch or, by any means, daunting for our talented Girls. It is hoped that our Girls will become Maidenhead & Bray Ladies team in the near future. All Sunday matches are 10.00 a.m. start, unless otherwise stated. Evening matches are 6.15 p.m. start, unless otherwise stated. All U15 and U13 fixtures played with a hard cricket ball. For our younger Girls, as in the past two seasons, we have entered our U12 Girls (school years 7 and below) into the BYCL U12 Festivals. The Festivals involve three matches of 9 overs per side, played in a round robin situation. The teams are 6 a-side, with a squad of 9 Girls allowed from each club, for each festival. All the matches are played with a soft ‘incrediball’. We will play in 5 Festivals against Binfield, Henley, Pinkneys Green, Wargrave and Wokingham. All are scheduled for Sunday mornings. Sunday 7 June is confirmed for the Festival at Bray. · Monday 20 April – outdoor Girls training starts at Bray – 6.15 – 8.00 p.m.
· Sunday 19 July – Club Colts Day at Bray – including the BIG match – U13 Div.2 East - Bray Boys v Bray Girls. · Monday 24 August – Mums v Daughters – a must after the success of last year’s spectacular! I’m also working with Berkshire Cricket to arrange for an England Women’s Test Cricketer to come down and lead a training session again. They are only available on Tuesdays, but we’ll hopefully work something out. I do hope this has given you a flavour of the 2015 Girls season – it truly does look to be extremely exciting for us. I’m really looking forward to seeing you all – Girls and Parents.